Capt. Eric hanging on to a 376# monster caught 9/16/05 on a jig! 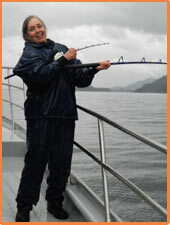 Captain Leslie Pemberton has operated guided sport charter fishing boats out of Seward, Alaska since 1982, and is one of the most experienced captains in the Seward charter fleet, having fished the waters in and around Resurrection Bay for over 30 years. Captain Pemberton came to Alaska in 1974 and landed in Dutch Harbor, first working in the commercial fishing industry on crab boats and halibut longliners, and earning a 100 ton U.S. Coast Guard Ocean Masters license in 1978. 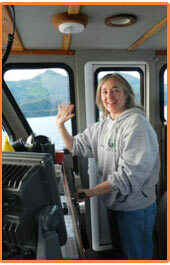 After operating pilot and ferry vessels out of Dutch Harbor, the skipper began spending summers in Seward, guiding fishing charter vessels for the U.S. military. In 1994, Captain Pemberton launched Puffin Fishing Charters with a 28 foot Bayliner. As the business started growing Capt. Leslie brought on Denise (Denni) Hawks and together developed a vision for the company. Captain Leslie designed and brought the first mid-sized U.S. Coast Guard-inspected charter boat to the Seward charter fishing fleet. 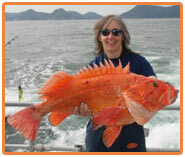 Through knowledge, experience, dedication, and plain hard work, Puffin Fishing Charters has grown to a fleet of three 32 to 36 foot U.S. Coast Guard inspected sport fishing boats and a 50 foot Delta, and is one of the more successful and productive charter fishing companies in Seward. 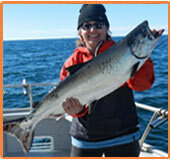 Denise Hawks is the other owner of Puffin Fishing Charters. 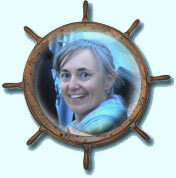 Denni, a transplant from Oregon, came to Alaska with the U.S. Public Health Service. 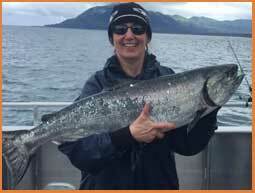 She went fishing with Puffin Fishing Charters on her first weekend in Alaska, and discovered her passion for fishing and boating. and has been a driving force on keeping the vision alive as we continuously strive to be all that we can be! 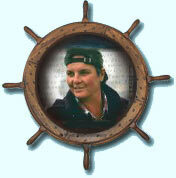 Puffin Charters appreciates Denni's dedication, hard work, her positive, chipper attitude and calm demeanor. 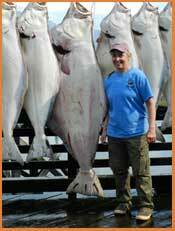 was born and raised in Alaska, and is an avid fisherman on any body of water. 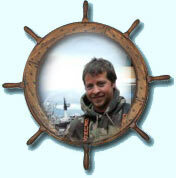 Having fished the waterways out of Seward since he was a young child, Capt. 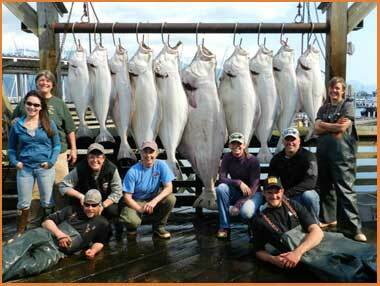 Eric's extensive knowledge of the fishing grounds reflects in his catch records. He has been with PFC for over 15 years and counting. Capt. 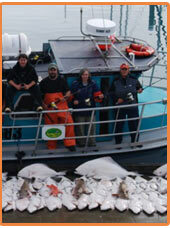 Eric is one amongst several phenomenal seasoned fishing guides here at Puffin Charters. Capt. Eric will be operating primarily the Sorceress this upcoming season. Captain Jacob Skretting Capt Jacob has been with Puffin Fishing Charters for several years now and we appreciate having him aboard. He started fishing at an early age with his father who was a fishing guide. Capt. 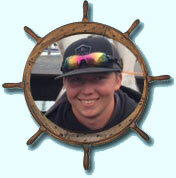 Jacob decided to become a guide himself and share his enthusiasm for fishing with others. He worked on deck for several years before obtaining his captains license in 2014. His enthusiasm for our fisheries...and his youthful spirit are infectious and will surely add to to your fun-filled day of fishing! He will be operating primarily the Offshore Hunter. Justin Leonard (JLo)Jlo was introduced to fishing as a young child. 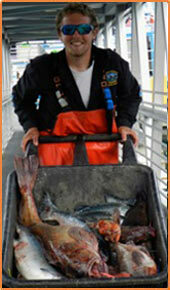 After spending most of his youth fishing Northern California, Jlo decided to head north to Alaska to work as a deckhand. He worked on deck for PFC last year and we are happy to have him returning on deck with PFC for another season. His happy demeanor and bright smile is infectious. He loves fishing so much he has made it his career! After working several years on deck Jlo has worked his way to earn enough sea time to acquire his captains license. We have Jlo on deck this season and will be working his way towards the helm. Captain Ian Whittles (Ian) Capt. Ian Whittle was born and raised on the Big Island of Hawaii. Since his youth his interest for hunting started on hillsides of Maunakea, Hawaii. 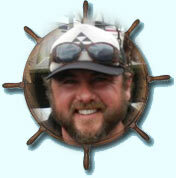 As he became an avid surfer, diver, and fisher he realized his true passion for fishing. After High School Capt. Ian attended college where he received a degree in Meteorology. He then decided to spend a year teaching in Japan. Shortly after Japan, Capt. Ian found himself on a journey to Alaska. After many years on deck Capt. 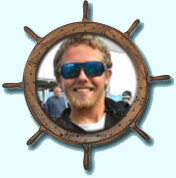 Ian then obtained his Coast Guard Captains license and has been working as a Captain ever since. His excitement for catching fish is contagious. It is a pleasure to have Captain Ian aboard with us this season.